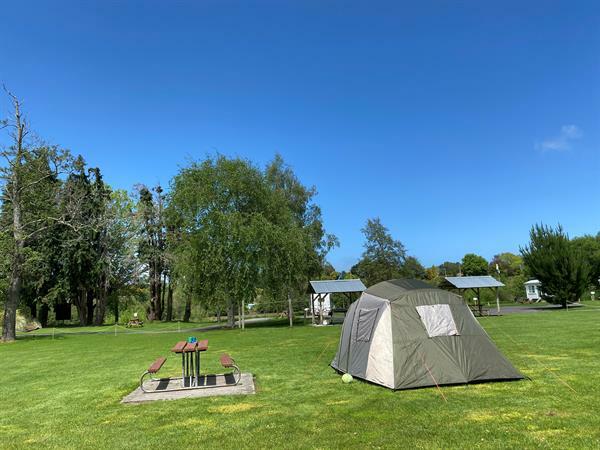 At Whanganui River TOP 10 there are plenty of options where you can pitch your tent or park your unpowered van to enjoy the perfect kiwi holiday. All the sites are within a short walk of our centrally located 4*plus communal facilities which are always maintained to the highest level of cleanliness. Up to 6 people are allowed per pitch and there is plenty of space so don't feel shy about bringing your awning or boat for that classic kiwi holiday. There are plenty of picnic tables all around the park. All the other entertainment facilities around the park are just a short stroll form wherever you decide to pitch. Pitch up, relax and let us help you enjoy the perfect kiwi holiday!